Pollinate by Kitty Wilkin the Night Quilter...pattern, acrylic templates, and paper pieces. 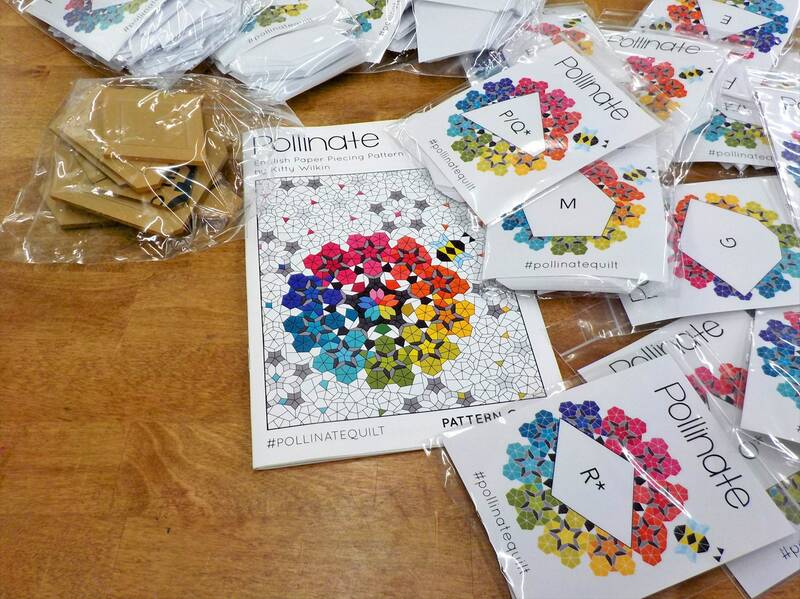 Pollinate is a wonderful change from the basic hexagons, honeycombs, and diamonds. Wonderful shapes collide with color and fabric placement to make this project sing. get out your color pencils and your scrap bin and start planning on pollinating the world with happiness and stitches. Shipped quickly. Good price. Well packaged.